Thanks to modern technology, people with visually impairment can do numerous things such as write documents, browse the internet and send and receive emails. Screen Reading and special talking software allow those with some remaining sight or totally blind to use computers, tablets and mobile phone devices independently. Similarly, people with low vision can use screen magnification software and devices that will allow them to see letters, pictures and other objects without having to struggle or strain their remaining vision. This technology commonly known as assistive or adaptive technology is continually evolving, and has removed many access barriers for people with sight loss. Learning how to use technology can often be a daunting process for many, even more so for individuals with a visual impairment. 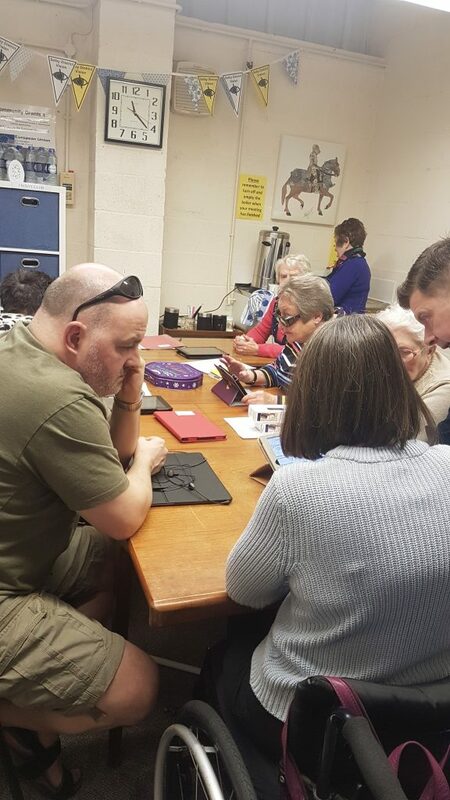 The course run last year helped members to understand technology and how to use it to help them in their interests and communication. This course was such a success and obviously needed so Selby District Vision continues to provide training opportunities. These sessions are informal social opportunity to meet, share ideas, hints and tips on Information Technology. If you would like to come along please contact the office to book your place.